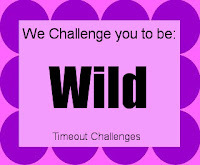 Time to remind you that there is still time to join in our challenge at Time Out. We are asking you all to you 'wild'. I am 'wild' about Christmas. I just love it! This card is actually a 'case' of one of our teamie and good friend Nonni's card. I saw it on her blog a while ago and loved it-thanks Nonni for the inspiration. Our amazing Guest Designer, Darnell, is joining us again this week-we love the card she has made. Take a look at what Darnell and the Design Team have made by popping over to Time Out. Then take some TIME OUT and go 'wild' with us. You have until the 9th May 5pm BST to join us. Gorgeous scene, and I love how you used the die cut tag to really emphasize your focal point. 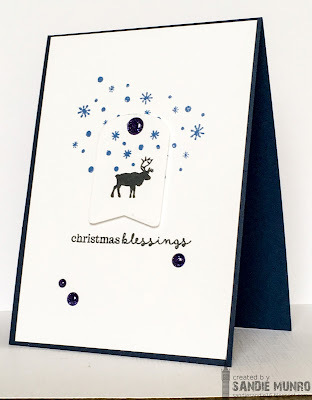 I love the layered tag - it add the perfect amount of interest to your beautiful CAS Christmas scene. Just squeeking in finishing up my commenting! I so love this card. I love the simplicity of it and the tag is just brilliant. Love it and you!